We urge you to call for a swift, unconditional release and permission to travel for the imprisoned blogger Raif Badawi. We also call on you to stop providing weapons to countries with poor human rights records, including Saudi Arabia. His hands and feet in shackles, a face contorted with pain, for everyone to see. 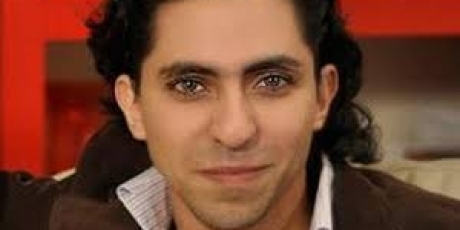 Raif Badawi, a Saudi Arabian blogger, was flogged in public 50 times, just for voicing his opinion. Now he could even be sentenced to death -- unless all of us act now! Last year, Badawi was sentenced to 10 years in jail, 1000 lashes and a huge fine for "insulting Islam" on the internet. But people around the world have called for his release and now Germany could make it happen: This Saturday, Sigmar Gabriel, Germany's Vice Chancellor and Minister for Economic Affairs, will travel to Saudi Arabia -- and if he uses his economic leverage to take a stand for this brave activist, he could force Saudi decision-makers to reconsider. Badawi's wife has already asked Sigmar Gabriel for help. If thousands of us support her appeal, we can see him off with a huge call from around the world to negotiate the blogger's release. Add your voice now to say human rights shouldn't come second to economic relations.